The Lunchie Market food ordering app was created to connect consumer and affordable everyday meals. The Lunchie Market platform is a tailor-made marketplace for high-quality surplus meals and special offers. The Lunchie app was released on 9 March, 2016 and is now available in Finland and in The Netherlands. Lunchie Market is owned by its employees and investors. The app is free for download. Consumers can order high quality restaurant food, pay through the Lunchie app and pick up the ordered meal for instance on their way home from work. It enables local restaurants to cut food waste and save the environment. For iPhone and Android, the app is available on Appstore and Google play. 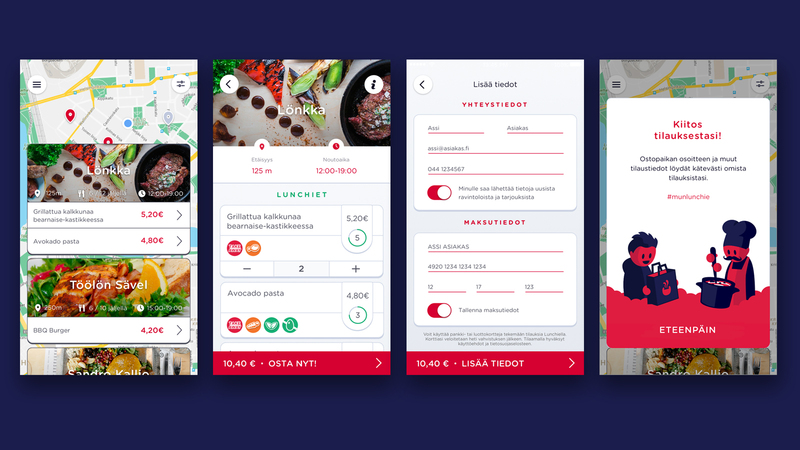 The Lunchie team was looking for a reliable partner for development in three areas: Mobile Apps (iPhone, Android, developed with React Native), Backend server (developed with Node.js) and their web data management interfaces (developed with React). They were also looking for external hands to help with the project, and to modify the product for international markets. The goal was to create a simple and fast user experience for both consumers and food vendors. After initial start, the team at Make Helsinki has taken over the development of the project. We have worked with the design, development, testing, and release process to app stores. Moreover, we have made several new mobile app releases for consumers, and web app releases for restaurants. Restaurants use their web app to update the Lunchie offers. We have also continued working with new features, taking care of hosting and project/product management. 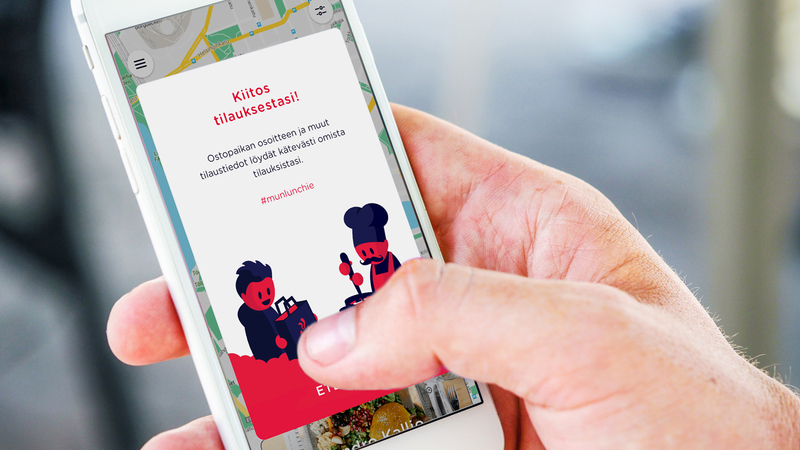 In Helsinki, there are already over 250 restaurants that use the Lunchie service. As a result from the cooperation, Lunchie has received new financing rounds from angel investors and Tekes. We have also been involved with helping Lunchie to prepare their service to Spanish markets, where Lunchie will be introduced next. We’re continuing with helping Lunchie to add new interesting features to the service and expand to further markets.